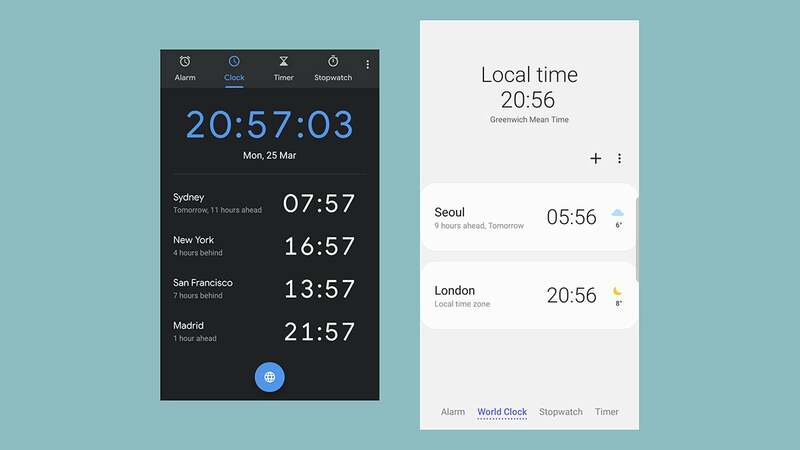 Samsung One UI vs Stock Android: What's the Best Version of Android for Your Phone? Picking a smartphone isn’t just about picking between iOS and Android because if you choose Android you also need to weigh up all the different flavours of Android on the market. 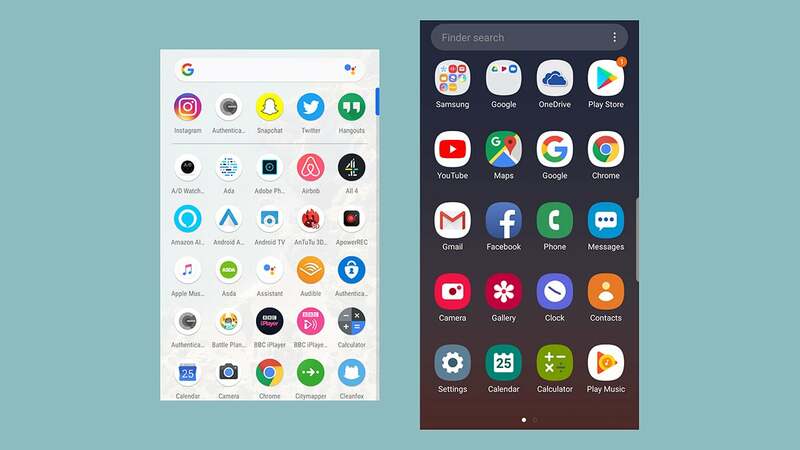 Google, Samsung, Sony, LG, OnePlus, HTC, Motorola and the rest all do Android differently, and Samsung recently revamped its own mobile OS under the One UI banner. We’ve been putting One UI through its paces on a Galaxy S10e to see just how well it works versus the stock-Android-with-a-few-little-twists that Google uses on its Pixel phones (the Pixel 2 in our case). Is Google’s Android still the best Android? Or does Samsung finally have a take on Android that it can be proud of? In all of the screenshots you see below, we have the Pixel 2 on the left, and the larger Samsung S10e on the right. Most of stock (Pixel) Android’s aesthetic appeal is on the home screens and the app drawer—once you get into the menus and the dialogue boxes everything is rather utilitarian rather than pretty. With Samsung’s One UI, that attention to detail goes a little deeper, into menu headings and dialogue boxes and icons. Take, for example, the floating bubble-style entries on the Settings menu in One UI compared to the very regimented listing that you get on the Pixel phones. Samsung’s propensity for visual flourishes can occasionally be over the top and distracting. Yet with One UI, the balance seems to be just about right, with fewer unnecessary additions to the look and feel. That’s not to say the Pixel Android OS is badly designed. The Google Assistant feed (one swipe to the right from the home screen) is very nicely done, and better than Samsung’s Bixby-powered equivalent. Notifications look a little cleaner and easier on the eye on stock Android as well, we think. 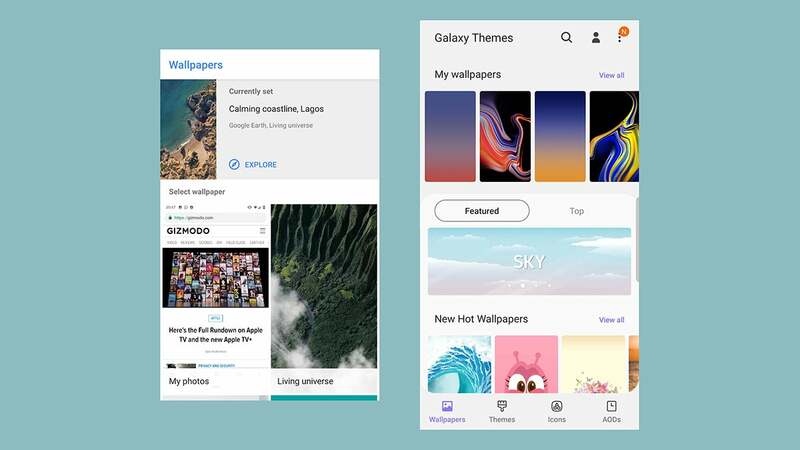 In terms of theming and customisation, Samsung has the upper hand here, although we’ve just seen the first signs of theming appear in Android Q. The One UI has a Wallpaper and themes entry on the Settings menu that has no equivalent on stock Android on the Pixels, so you’ve got a lot more options to play around with. From the Pixel perspective, the live wallpapers are very well done, as is the weather and calendar widget that appears by default. Overall though, we prefer the design of Samsung’s One UI interface—and it’s more flexible, too. 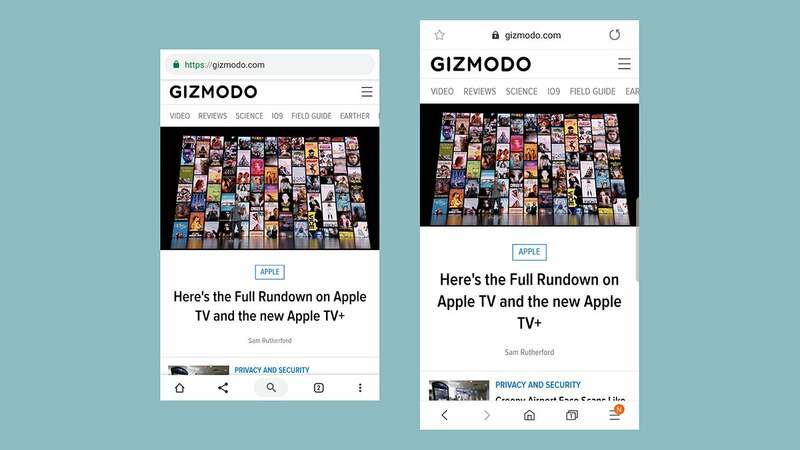 In general terms, One UI is an improvement on what’s gone before it from Samsung: Everything is cleaner and easier to read, with visual cues for users more subtle and still just as effectively. A lot of the icons appear to have been tidied up as well to improve the overall appearance of the OS. Traditionally the benefit of having a more staid style of interface is that it runs faster, and Google no doubt has that in mind. 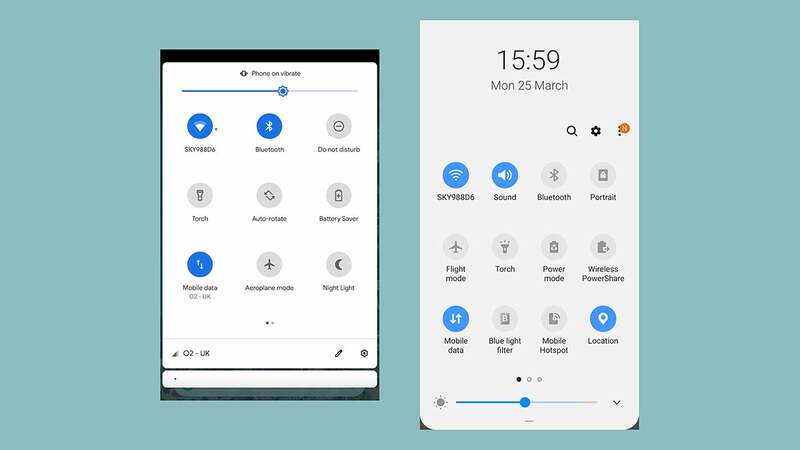 However, Samsung seems to have made One UI nippier and less laggy than it was in its previous TouchWiz and Samsung Experience incarnations, even if we were testing it on one of Samsung’s 2019 flagship phones. Apps are one area where Samsung and its One UI version of Android still lags way behind what Google can offer, which is perhaps to be expected. In terms of contacts, calendar, calculator, SMS apps and so on, we’d be surprised if many people chose the Samsung options over the Google ones. It’s in the most important apps where the differences are most stark: Samsung Internet vs Google Chrome, Samsung Email vs Gmail, and Samsung Gallery vs Google Photos. Samsung’s apps aren’t terrible, but Google has a clear edge. Google Fit is, we think, a more intuitive and more useful app than Samsung Health, and when it comes to the apps where Samsung has been ahead—like the built-in file manager—Google has been catching up of late. To be fair, the One UI refresh didn’t focus on apps, and it’s easy enough to get the Google alternatives installed on a Samsung phone as and when you need them. 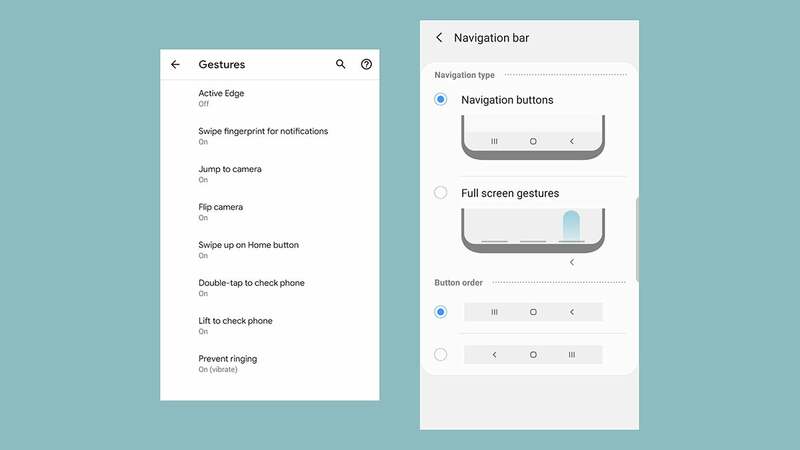 We should also point out that Samsung’s apps are easier to use with one hand on larger displays—for more on this, see the features section below. One area where Samsung phones have always excelled is in the number of different options and configuration settings you get access to. At times the choice has been overwhelming, but One UI tidies everything up rather well, giving you plenty of options without feeling cluttered. Take the Easy mode, for example, giving you a more basic, stripped-down interface with a single tap; or the way you can change the order of the navigation buttons if you prefer them to gestures. These customisation options aren’t new with One UI, but they’re more accessible and more useful than ever. There’s not as much customisation to be had on the stock version of Android that ships with the Pixel phones, which may or may not bother you. You don’t get as much control over the lock screen, for example, or the always-on display, so if you do have the time and inclination to go to town on phone tweaking them Samsung One UI feels like a better bet. We’re less keen on the tips and ‘related items’ links you get at the bottom of menus with Samsung One UI. Admittedly complete beginners might find them useful, but to us they seem like clutter that isn’t really needed—perhaps something for Samsung to tidy up in the next update. Almost every app and operating system makes use of a dark mode now, and One UI is no different. It’s well implemented, covering all of the menus and dialogues, as well as Samsung’s own provided apps (though not the third-party apps that we tried). 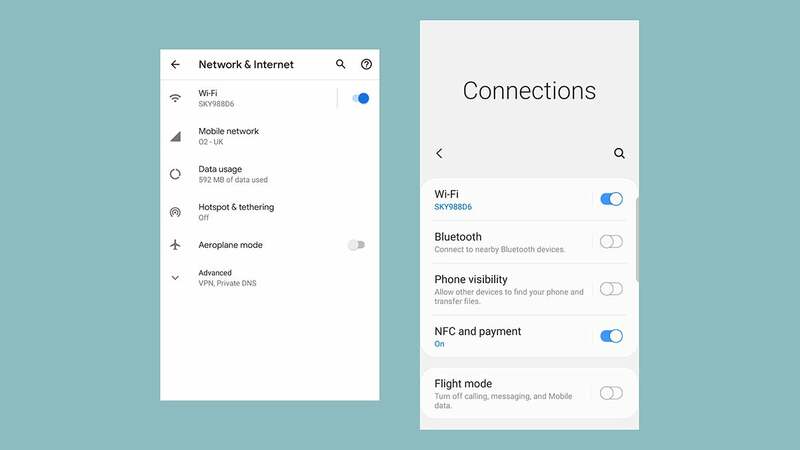 Dark mode is slowly making its way to stock Android too, with a rudimentary switch in Android 9 Pie and the promise of more in Android Q, but it’s not as sophisticated as it is in One UI. We do definitely like the way One UI is designed for using larger phones one-handed: Drag down on a menu when you reach the top, and the options come down towards the bottom of the screen while the top half fills up with the menu header (Settings, or Connections, or whatever it is). It’s one of the most intuitive and simple ways of managing controls on a larger screen that we’ve seen to date, and it even feels easier to use than Reachability on iOS (which will put menus and settings directly under your thumb after a specific swipe). We wouldn’t be surprised if Google copies the feature in the near future—it’s that good. 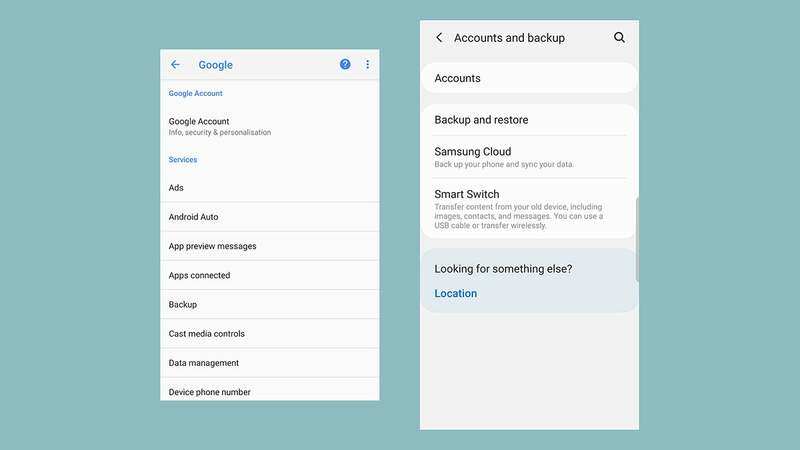 Samsung has always packed in more features than stock Android, and while a lot of these aren’t new in One UI, they’re all well managed and neatly designed. You’ve got gesture support, the game launcher mode for focusing on games, the dual messenger mode for running two accounts in the same app, and the video enhancer for making videos really pop—to name just four extras. These bonus features do sometimes make their way to stock Android eventually, but it usually takes a while before Google is sure that it wants to steal a feature it’s seen put to good use elsewhere—like a dark mode or screenshot editing tools. If you’re looking for the most feature-packed version of Android out there, stock Android is not it. It probably goes without saying that Google Assistant still runs rings around Bixby at this point, and that’s an advantage for stock Android. Using a Pixel also means just having to handle one account login (Google) rather than two (Google and Samsung) all the time. There are other trade-offs to consider here, not least that buying a Google Pixel phone means you’ll be getting the next version of Android a lot quicker than you would be with a Samsung Galaxy handset. On the strengths of the software packages alone though, in their current forms, it’s hard to find a clear winner—ideally we’d want a mostly stock Android with a few of Samsung’s best innovations sprinkled on top. We still just about prefer using a Pixel phone, not least for the easy Google account, Google app and Google Assistant integration, but One UI closes the gap even further. This might be the best version of Samsung’s flavour of Android yet.